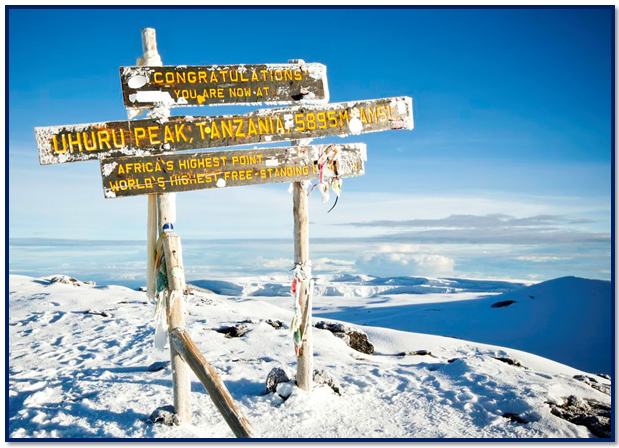 Tanzania, the largest country in East Africa, includes the spice islands of Zanzibar, Pemba, and Mafia and contains Africa’s highest point—Kilimanjaro, at 5,895 meters (19,340 feet). 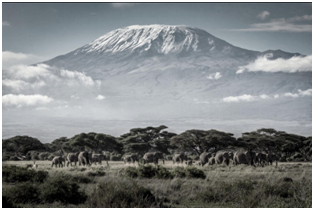 Kilimanjaro, a dormant volcano, is snowcapped even though it is near the Equator. The African population consists of more than 120 ethnic groups. The Northern Safari Circuit of Tanzania includes some of the most famous and remarkable sights in the world, such as the annual Wildebeest Migration and the spectacular Ngorongoro Crater. 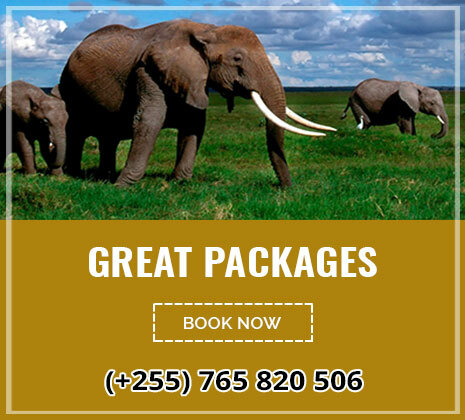 Certain locations are very popular and early booking are recommended to ensure you can have your ideal Tanzania safari. Northern Circuit Safaris starts in Arusha, usually by car, though it is popular to fly either to the Serengeti National Park, or the way back. 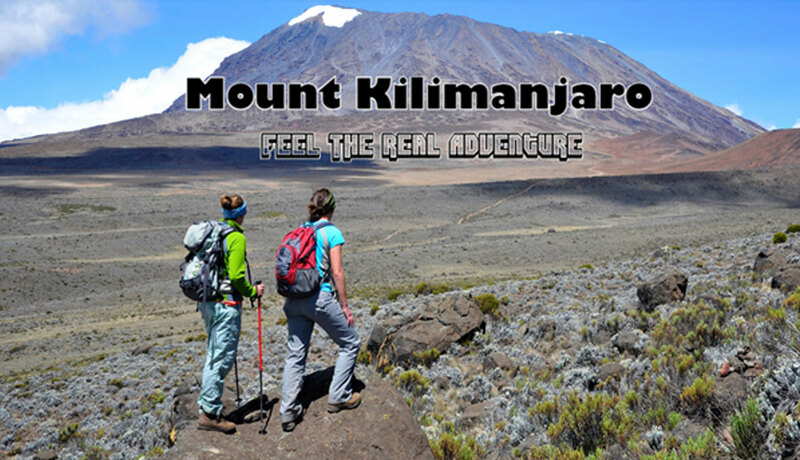 The International airport, serving the Northern Circuit (and Kilimanjaro) is Kilimanjaro International Airport – KIA for short. KIA is about half way between Arusha Town and Moshi Town. 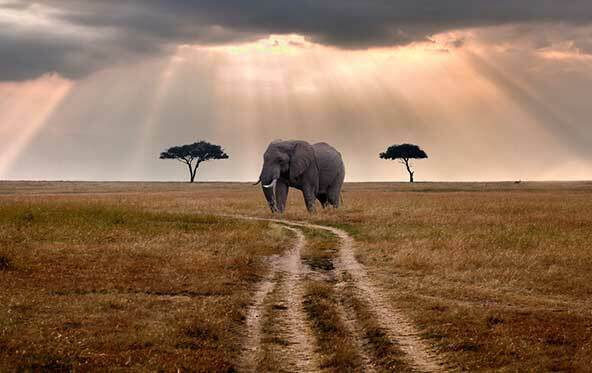 The Southern Circuit includes some of the less visited, remote and remarkable sights in Tanzania. Because it is less well known than the Northern Circuit it has fewer tourists and you will frequently be the only vehicle on the landscape. West Tanzania presents a unique opportunity to escape the tourist crowds and enter the heart of the bush. You can see chimpanzees in their natural habitat at Gome Stream or Mahale Mountains and trek through breathtaking forests. Kitavi is exceptional for Hippo and Lion. You can also visit the great Lakes: Lake Victoria, Lake Tanganyika, Lake Nyasa (Malawi) and Lake Rukwa. 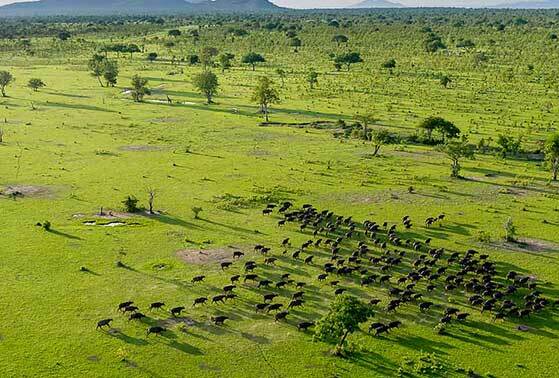 Because of the extreme distance involved in visiting West Tanzania most safaris are flying safaris. If you wish to see an example of both a luxury trip and lodge trip have a look at our programs. Located in East Africa along the Indian Ocean between Kenya and Mozambique, Tanzania contains many different habitats and is known for its varied geography, which includes deep fresh and saltwater lakes, sweeping plains, forests, deserts and Africa’s highest point, Mount Kilimanjaro (5,895 m or 19,341 ft). Northeast Tanzania is mountainous and includes Mount Meru, an active volcano, Mount Kilimanjaro, a dormant volcano, and the Usambara and Pare mountain ranges. West of those mountains is the Gregory Rift, which is the eastern arm of the Great Rift Valley. On the floor of the rift are a number of large salt lakes, including Natronin the north, Manyarain the south, and Eyasiin the southwest. The rift also encompasses the Crater Highlands, which includes the Ngorongoro Conservation Area and the Ngorongoro Crater. 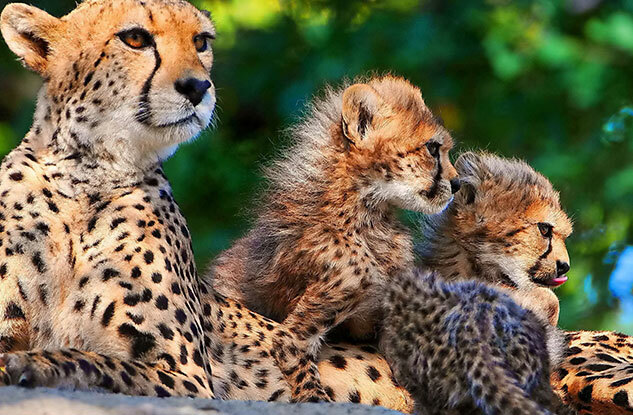 To the west of the Crater Highlands lies Serengeti National Park, which is famous for its lions, leopards, elephants, rhinoceroses, and buffalo, as well as the annual Great Migration of millions of white bearded wildebeest. 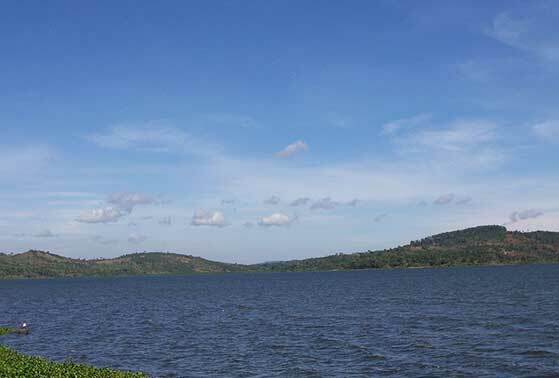 Further northwest is Lake Victoria on the Kenya–Uganda–Tanzania border. This is the largest lake in Africa by surface area — 49% of it lies within Tanzania — and is traditionally named as the source of the Nile River. Southwest of this, separating Tanzania from the Democratic Republic of the Congo is Lake Tanganyika. 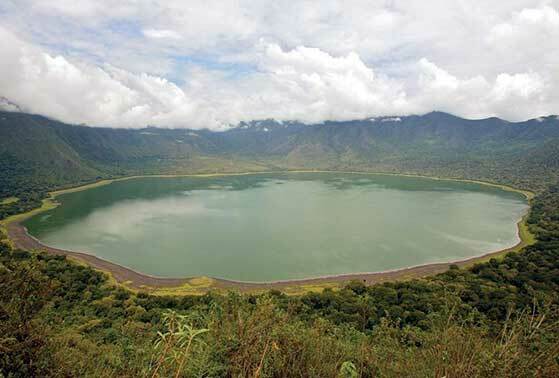 This lake is estimated to be the deepest lake in Africa and second deepest lake in the world. 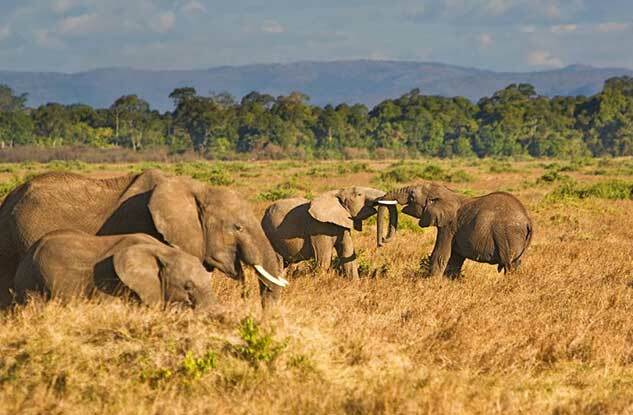 The western portion of the country consists of flat land that has been categorized by the World Wildlife Fund as part of the Central ZambezianMiombo woodlands ecoregion. 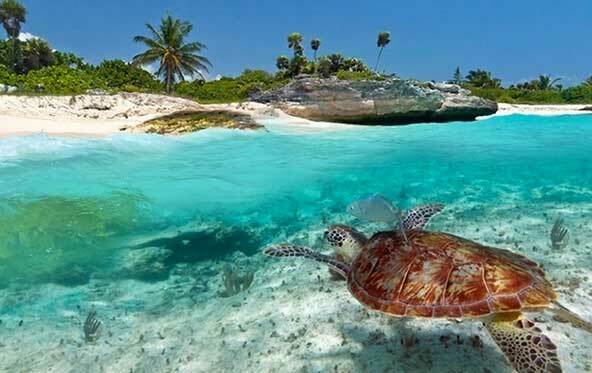 The coastal plains, which have lush, tropical vegetation, are home to East African mangroves and mangrove swamps. The coast is where you find Tanzania’s largest city and former capital, the cosmopolitan Dar es Salaam. Just north of this city and into the Indian Ocean lies the Zanzibar Archipelago, a semi-autonomous territory of Tanzania famous for its distinct Arab-influenced culture. The Masai Steppe in the north is 213 to 1,067m (698 to 3,500ft) above sea level. The center of the country is marked by a large plateau, which is part of the East African Plateau. The southern half of this plateau is grassland within the Eastern Miombo woodlands ecoregion, the majority of which is covered by the huge Selous Game Reserve. Further north the plateau is arable land and includes the national capital, Dodoma. Tanzania is three hours ahead of Greenwich Mean Time (GMT+3). It doesn’t operate daylight saving time, hence there’s no time difference between their summer and winter months. In Tanzania, HIV infection rates are high; AIDS is prevalent here. This isn’t usually an issue for visitors, but they should be aware of the situation, and take the same sensible precautions to avoid infection which are wise in most countries. We understand that blood supplies used by the private hospitals in Tanzania have been carefully screened for many years. Kiswahili and English are the official languages and spoken by most people living in Tanzania; as well as this, there are many ethnic groups, speaking localized languages and dialects. Try to learn some basic Kiswahili before you go, to help you enjoy your trip more! 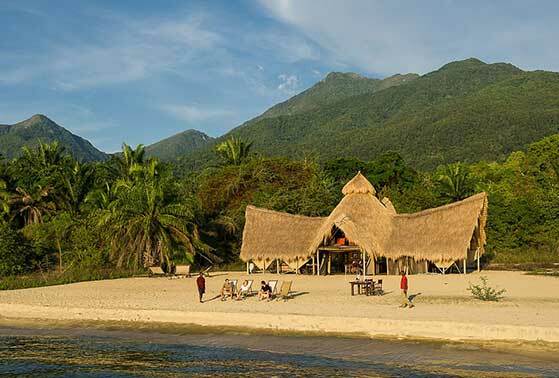 A few of Tanzania’s safari camps are suitable for children, others aren’t; Tanzania’s beach destinations are generally very good for relaxed family getaways. 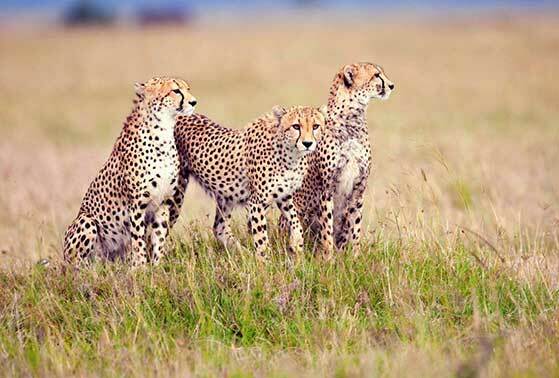 For detailed advice, call our expert team, or see our ideas for family holidays in Tanzania. 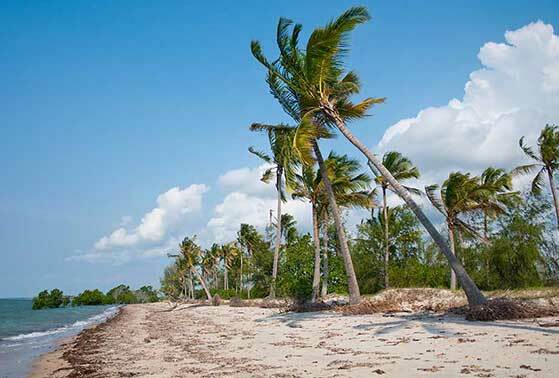 Tanzania has a tropical climate along the coast but is more temperate in the highlands. Still, the range of temperatures in Tanzania is fairly limited and usually hot, running from 25-30°C (77-86°F) on the coast while the rest of the country apart from the highlands run from 22-27°C (71-81°F). 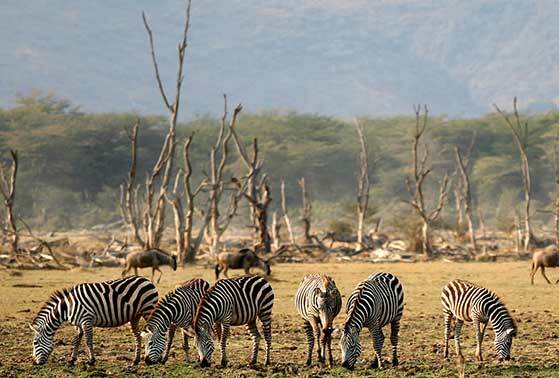 With 16 national parks, several game reserves and 40 conservation areas dotting the landscape, nearly 40% of Tanzania’s land area has been designated for protection. 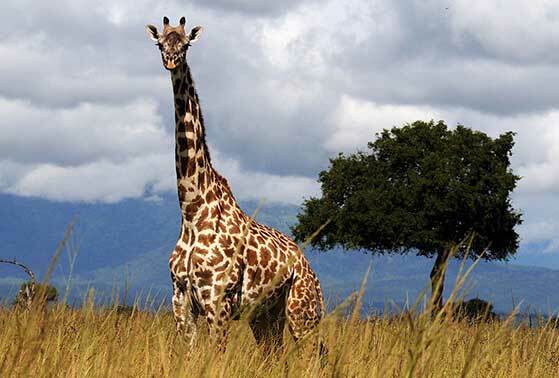 This makes Tanzania a great place to view the nearly 400 species of mammals, over 1,100 species of birds, 275 species of reptiles and 130 species of amphibians, some of which can be seen nowhere else in the world. 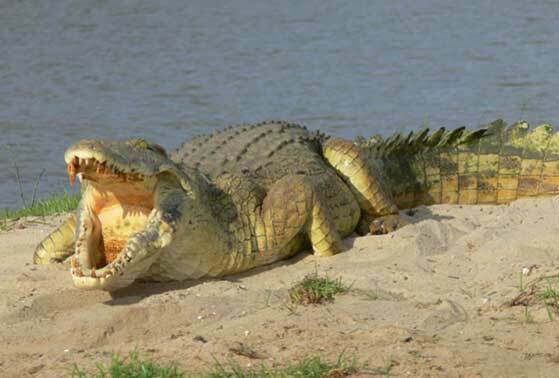 It is said that one fifth of Africa’s large mammals reside in Tanzania. 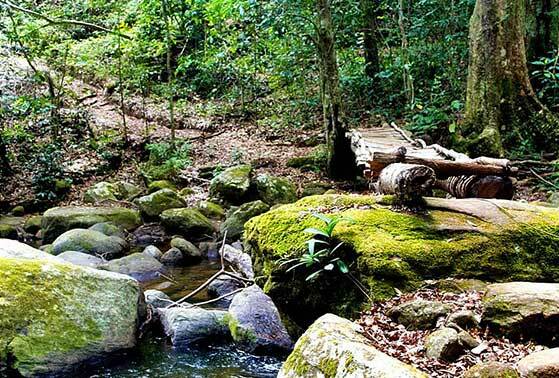 Combine this with the Tanzanian government’s leading approach to conservation and you have one of the most sought-after ecotourism destinations in the world. Tanzania has a population of around 47.6 million (UN, 2012). Native Africans constitute 99% of the population, including some 120 distinct ethnic groups, none of which represent more than 10 percent of the population. Tanzania’s settlement began with the original Bantu settlers from southern and West Africa, but its location on the Swahili Coast meant it also became a destination for Arab traders from Shiraz in Persia and Oman, as well as for traders from southwest Asia and India by 900 A.D. Later on, the Portuguese, Germans and the British all left their cultural mark before Tanzania gained its independence in 1961. Now, unlike in some African countries, most people here identify as Tanzanian first and foremost, as opposed to their tribal affiliation. 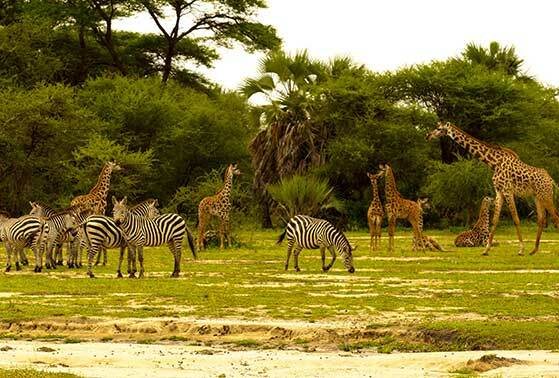 In 2014, well over a million people visited Tanzania from all over the world. 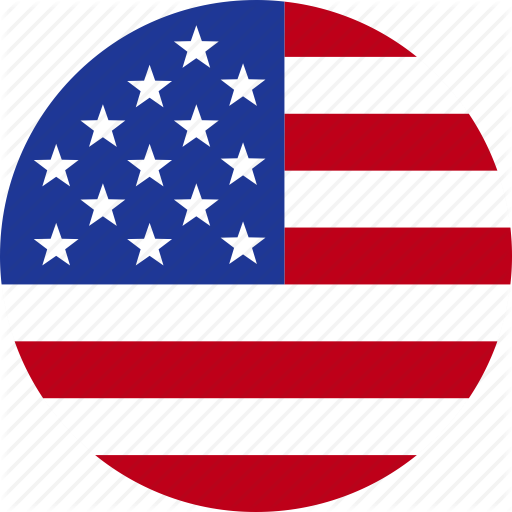 A member of the East African Community and a regular United Nations contributor, Tanzania is a politically stable, democratic country. Most Tanzanians are warm-hearted and generous people who are eager to help visitors experience their homeland. There is a thriving hospitality scene run by Tanzanians, expatriates and foreign investors. Most accommodations have watchmen and in coastal areas or on the islands, Masai warriors often keep lookout for seaside resorts. However, whenever you travel, a little common sense goes a long way. Keeping valuables in the hotel lockbox and not walking alone at night — whether you are in the city or in the bush — can help ensure a safe and pleasant visit.